As part of Toronto Public Library's "Eh List" series; Authors Andrew Pyper (Damned) and Craig Davidson AKA Nick Cutter (The Deep) in conversation with The Toronto Star critic Deb Dundas. 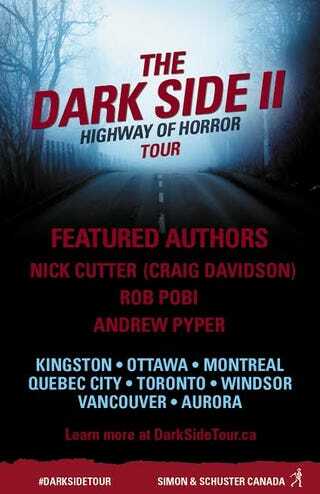 They'll be discussing the new anthology "The Dark Side II: Highway of Horror", which they contributed to. Thursday, April 2, 2015. 7:00 p.m.
Pyper and Davidson (aka Nick Cutler) are reigning godfathers of Canadian horror stories; between the two of them they have invented ghouls and wraiths of every ilk. While penning the 'penny dreadful' may seem as simple as falling off a log, making a reader's skin crawl is a hard-earned skill set. Come and meet two masters of the genre. Sorry, we can&apos;t find the library program you&apos;re looking for.